BCAA-branched chain amino acid refers to three amino acids: Leucine, Isoleucine and Valine. This acid can promote muscle protein synthesis and increase muscle growth. Leucine is a producer of energy that helps in the recovery of muscle and helps to normalize blood sugar. Leucine also participates in the production of growth hormone. It helps in fat burning, especially the fat in the gut. Isoleucine offers the same as leucine. Among that, it helps in creating energy and is indispensable in production of hemoglobin. Valine has several functions and one of them is to provide energy for the body-supplying muscles with glucose to produce energy. This process usually takes place when the body is under stress. 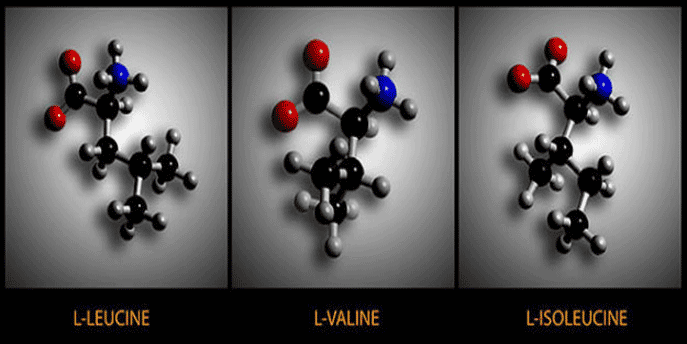 Valine helps in blood sugar control. Valine is required for a healthy mind and mental health. This acid also removes nitrogen which is deposited in the muscle and it distribute in those parts of the body where is needed most. All of this acids are essential amino acids, which means that the body cannot synthesize them from other amino acids, only to be taken through food or supplementation. The main function of BCAA is to help muscle faster to recover after training, to prevent damage to the muscle of exercise and to prevent losing muscle mass in inactive people. BCAA have a special importance, especially for athletes because they are metabolized in the muscle, not the liver. Muscle tissue use BCAA for energy production and synthesis of proteins. They are also included in the metabolism of neurotransmitters in the brain who act on mood and mental functions. If you eat healthy the chances that the body will enter BCAA are bigger. BCAA is found in foods such as chicken, fish, eggs, beans, lentils and nuts. Some studies have shown that consuming three grams leucine three times a day is equal to consumption of nine to ten grams of BCAA supplements. This amount of leucine can be found in 1 Tbsp of protein powder, one cup of cheese or 85 grams of chicken. Vegetarians should consume certain supplements if they want this amino acid. For people who train hard and go several times per week in the gym and want to reduce recovery time, it is necessary to consume BCAA supplements. BCAA supplements do not improve performance of athletes but they help to accelerate recovery after fatigue. This supplements also increase protein synthesis in the muscles, which leads to muscle growth.